Wonderboom Airport, nestled in the north of Pretoria, is built on a farm. It was originally a civilian airstrip for light aircrafts and was used for military training during the Second World War. Presently, Wonderboom Airport handles a limited number of passenger flights. There are currently no flights to/from Wonderboom Airport. 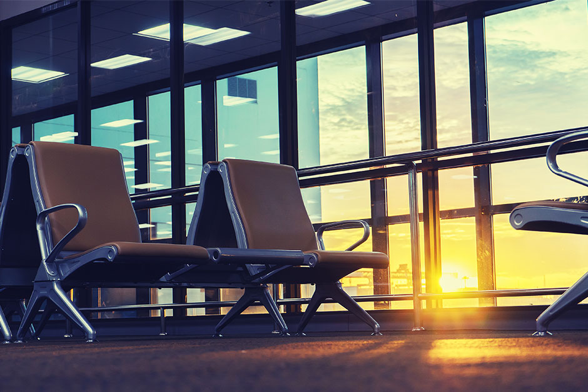 We recommend choosing a nearby airport such as O.R. Tambo International or Lanseria Airport instead. Pretoria is just a 40-minute drive from OR International Airport, and a 45-minute drive from Lanseria Airport. Domestic airlines that serve both airports include Mango, kulula and South African Airways. Book your cheap flights to Pretoria online! Wonderboom Airport is a small airport in Pretoria, South Africa. The airport has undergone several upgrades and renovations. As of 2000, Wonderboom Airport has been under the ownership of the City of Tshwane Metropolitan Municipality. Wonderboom Airport is currently used by many local parachuting clubs along with serving passenger flights for light aircrafts. During the 2010 FIFA World Cup, the Wonderboom Airport was used as an alternate airport for VIP guests, foreign dignitaries and heads of state. Compare and book your cheap flights to Pretoria with popular flight routes from Cape Town to Pretoria online at Travelstart! Spend some of your free time browsing or getting your last-minute essentials in the shops at Wonderboom Airport. Travellers can enjoy the hospitality of the restaurants in and around the airport. The Wonderboom Airport domestic departures terminal boasts the new Airlink Grey Sunbird Lounge owned by Airlink. The business class lounge is made available for business-class customers and selected Voyager members. As Wonderboom Airport is focused on servicing smaller aircrafts, its facilities include helicopter service centres, a skydiving club and pilot shop car rental. The 3-star guest house is located in a tranquil neighborhood at the foot of the Magaliesberg mountain. It is a 12-minute drive from Wonderboom Airport. The room rates include a free breakfast, Wi-Fi and secured parking. With a 3-star rating, Villa San Giovani is fitted for both business and leisure travellers. It is a convenient walk from Wonderboom Airport. The hotel has various room options ranging from single rooms to a luxury room. Facilities include Wi-Fi, balcony/patio and a jacuzzi (luxury room). This 3-star guest house is situated in Wonderboom, a 15-minute drive from Wonderboom Airport. Facilities included with your stay are laundry services, secure parking and Wi-Fi. There are no Foreign Exchange facilities at the airport. However, you can locate a bureau de change in the nearby city centre of Pretoria. The parking facility at Wonderboom Airport has been upgraded. There are payment plans that you can make in order to pay a reasonable fee for your parking requirements. For reasonable rates visit Airport Parking Assistant. Wonderboom Airport is approximately 15 km north of Pretoria. Shuttle services, metered taxis, car hire and Uber options are available for your transport convenience to your destination of choice.